WASHINGTON (Sputnik) - The deployment of Russian Su-57 fighter jets in Syria poses no threat to the US-led coalition’s military operations and the United States will continue to deconflict operations with Russia as usual, US Department of Defense spokesman Eric Pahon told reporters. Pahon said deployment of the SU-57 aircraft to Syria would not seem to be "in keeping with Russia's announced force drawdown." 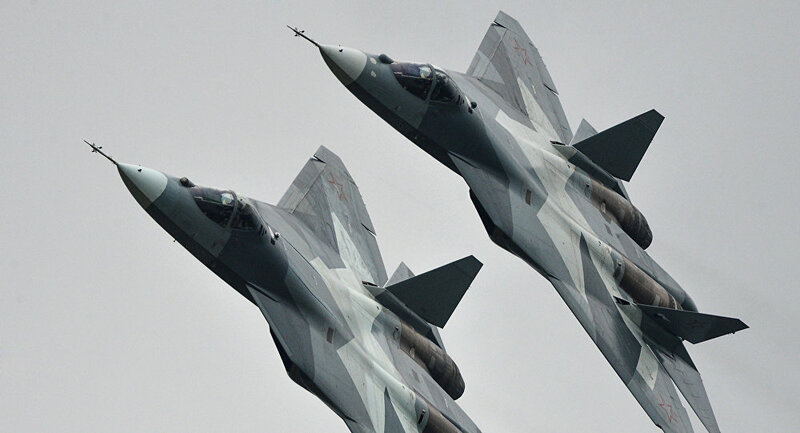 On Wednesday, media reported citing anonymous sources and unverified posts in social media that two Russian Su-57 fighter jets were spotted at the Hmeymim airbase in Syria. ​Russian lawmaker Vladimir Gutenev told Sputnik on Thursday that the deployment of the Su-57 may serve as a constraining factor for aircraft of neighboring states that periodically violate Syrian airspace. Kremlin spokesman Dmitry Peskov responded to the news by redirecting the question to the Ministry of Defense and saying that the issue was "more within the responsibility of the Defense Ministry."